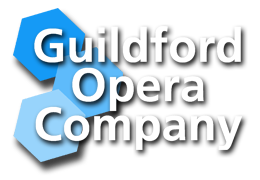  “We have been to ‘Boheme’ at Glyndebourne, The ROH and the Sydney Opera House and last night’s production compared very favourably with all the others. The singing, acting, choreography, and sets (staging) were all superb, also costumes. We were especially impresses by the empathy of the 4 students – we were in the front row so especially able to appreciate this – our only disappointment was the volume – perhaps we would have been better sitting further back – but then we would not have felt so involved with the complex emotions! Congratulations! Well done everyone.” M.H.  “Fantastic singing, wonderful music, really enjoyable, thank you so much!” D.M.  “Truly wonderful, best ever! all10/10” H.M.
 “Excellent performance & venue – very enjoyable.” M.F.  “Great sets, ‘natural choreography’, splendid acting & FINE voices, sympathetic accompaniment and great costumes.” O.W.  “Thought the two principal women were outstanding and a great chorus!” P.C.  “The two ladies were excellent.” S.R.  “A very enjoyable evening. Music superb, 4 male leads seemed to have an excellent rapport with each other. Mimi and Musetta acted and sang convincingly. I thought that Richard Arundel acted the part of Marcello brilliantly.” D.R.  “The sets were very good & the production excellent. A very enjoyable evening.” V.R.  “Best GOC production we have seen in recent years. Orchestra was a bit loud, even above the excellent principals early on” – no name. What our audiences are saying….